Somalia’s justice and corrections system received a significant boost with the inauguration of the newly opened Mogadishu Prison and Court Complex (MPCC) at a ceremony that was attended by top federal government officials and international development partners. The complex will provide the judiciary with the necessary infrastructure to conduct trials in a safe and secure environment for judicial and prison staff as well as criminal suspects. 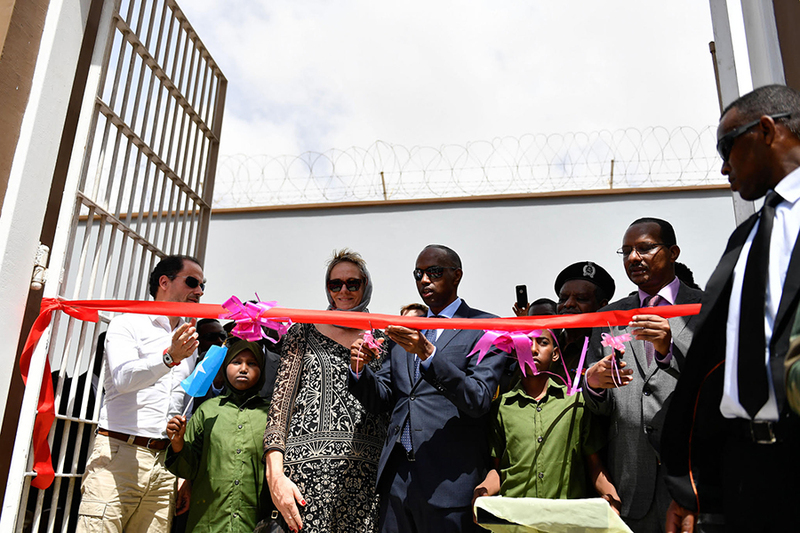 “I hope this facility will serve those who have been misled and will ease the work of judicial officers and people working in the corrections sector,” said Somalia’s Prime Minister, Hassan Ali Khaire, during the ceremony which was held in the Somali capital. The event was also attended by Somalia’s Commissioner of Prisons, Gen. Bashir Mohamed Jama, the Danish Ambassador to Somalia, Mette Knudsen; the Director of the Rule of Law and Security Institutions Group of the United Nations Assistance Mission in Somalia, Marco Carmignani, the Regional Representative of the United Nations Office on Drugs and Crime (UNODC), Amado De Andres, and the Head of the Somalia Programme of the United Nations Office for Project Services (UNOPS), Sayed Farooqui. The complex, which has been under construction since December 2015, is part of a major project that is being implemented in three phases by UNODC with the support of UNOPS. 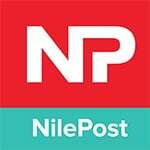 It is funded by the governments of Denmark, the Netherlands and the United Kingdom. Phase one of the project has been completed and comprises a courtroom, a 250-bed high-security prison block, and accommodation for judges, prosecutors and lawyers during the trial process. Work is already underway on the second phase, which will involve the construction of more prison blocks and a second courtroom. Mr. De Andres noted that the project is part of an initiative by the Federal Government of Somalia to tackle terrorism and organized crime and advance the country’s ongoing efforts to consolidate peace, stability and good governance. “Without peace, stability, effective, accountable and transparent institutions and effective governance based on the rule of law, we cannot hope for true sustainable development for all,” he said. In addition to building a facility that is compliant with the UN Standard Minimum Rules for the Treatment of Prisoners, UNODC will also provide technical assistance and training to judicial staff to ensure that trials are fair and efficient. Ambassador Knudsen noted that the MPCC also offers Somalia a promising opportunity to deepen the rule of law and curb crime. “We believe that the MPCC has transformational potential for Somalia when it comes to the rule of law, countering terrorism and preventing violent extremism,” she stated. The ambassador said the facility will set new standards for human rights compliance in Somali prisons and expressed optimism that the MPCC will facilitate the transfer of high-risk suspects from military courts to the new complex. The inauguration ceremony coincided with the 49th anniversary of the founding of Somalia’s Custodial Corps.